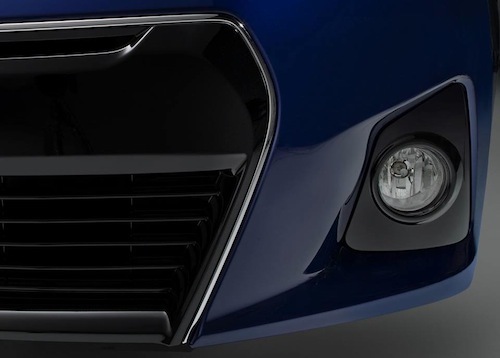 Automakers love to tease us with images of their cars before their official release and Toyota has given us a second teaser of the new 2014 Corolla. We do know the official press release will be on June 6 when Toyota will give us complete details on the new car. We also know the new 2014 Corolla will be all-new and will get a totally new look both inside and out. They already have shown us a bit of the tailight, and this latest teaser gives us a glimpse of the front end of the new-generation Corolla. What do we already know about the new Corolla? The Toyota Corolla was first introduced in 1966 has been a best-seller for Toyota around the globe. The compact car even surpassed the Volkswagen Beetle as the best-selling nameplate in the world. The four-door small sedan has been a fuel-sipping economy car with its small four-cylinder engines. The series has undergone several major redesigns and is now in its eleventh generation model. And it looks like its getting ready for another major redesign. Earlier this month, a leaked order guide from a Kansas dealership revealed a few details about the new compact car. We do know that the 2014 Corolla will have a totally new look both inside and out. While the new teaser image doesn’t show us much, we can expect major changes to both the exterior and interior designs. Some have suggested that the new-generation Corolla will look like the Furia Concept that was unveiled in Detroit. But it’s likely that the new sedan will not be a four-door sport coupe and will retain its historical sedan styling. We can expect a more modern look which it needs to stay competitive. We can also the expect the new-generation Corolla to be bigger than the previous model. Just like we see the new MINI getting bigger, look for the Corolla to grow in size. As with any new generation model, we never see them get smaller. It will still remain a compact, but the new interior will likely have more leg and head room than the 2013 Corolla. It’s been reported that the new Corolla will still feature a 1.8-liter four-cylinder powerplant, but Toyota has improved the engine with the latest Valvematic continuously variable valve timing and lift system. This will improve fuel-milage on the new sedan. AutoGuide is reporting that the new engine technology will allow the 2014 Corolla to top 40 mpg for the first time. It will likely get a newly updated CVT automatic as an available option that will help boost fuel economy. As with most automakers, Toyota will also increase fuel mileage on the new Corolla by trimming weight from the compact sedan. The new body styling will be more aerodynamic and will also contribute to better efficiency. The all-new 2014 Toyota Corolla will most likely get new suspension updates that will give the new model a sportier and more dynamic driving experience. Look for the all-new Corolla information to be released this next week. Stay tuned on June 6 as we will have the full press release from Toyota. Unless Toyota teases us with another image sooner.